Here is the July Tasting Schedule. Please check the Events page of the SAKAYANYC.com website for updates as we are continually scheduling new tastings…. Tasting of Ginga Shizuku “Divine Droplets” Junmai Daiginjo and Taisetsu “Big Snow” Junmai Ginjo. Two of the more well-known brands of sake, Kubota and Denshu are found in many fine Japanese restaurants and izakaya but aren’t available (yet) at retail in NYC. Although as NYC’s first and only premium sake specialty shop we are trying to change that, we currently don’t carry either brand. Interestingly, it seems that these sake are the most familiar names among people who are in the early stages of learning about nihonshu. And so when they first visit or call SAKAYA, they are the sake that these folks ask for. 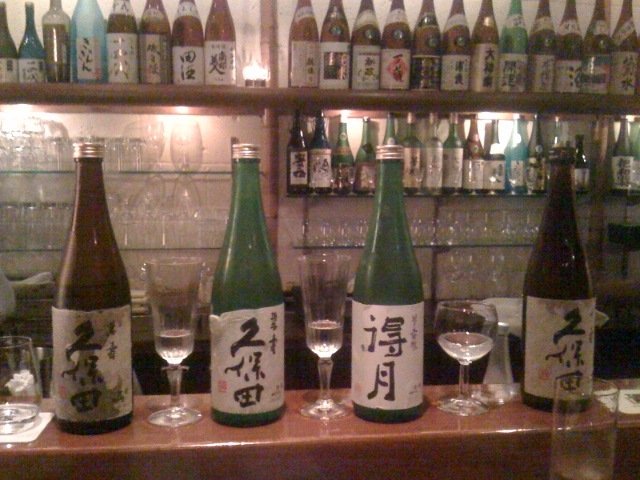 We should say here and now that both brewers make fine sake and their reputations are well-earned and deserved. But, are they the ultimate or without peer? 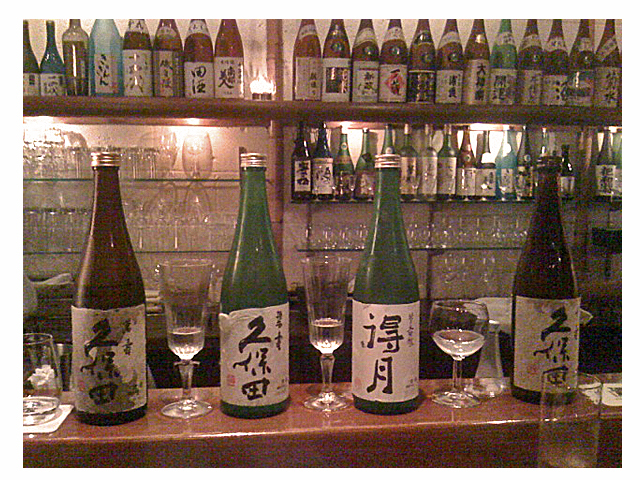 We thought that the subject was worth examining in order to provide our customers with sake that they could enjoy just as much so we set out to visit our good friend and sake sommelier Chizuko-san at our “laboratory,” the esteemed izakaya, Sakagura in midtown Manhattan. Kubota is from Asahi Shuzo in Niigata, which was founded in 1830. The Kubota line was created in 1980, and soon became the popular hit. Denshu is from Nishida Shuzo in Aomori, which was founded in 1879. The Denshu line was first produced in 1974. When we told Chizuko-san that we wanted to taste Kubota, she lined up four of their sake in front of us, Manju, Hekiju, Tokugetsu, and Senju. We started with Manju which is the Junmai Daiginjo. 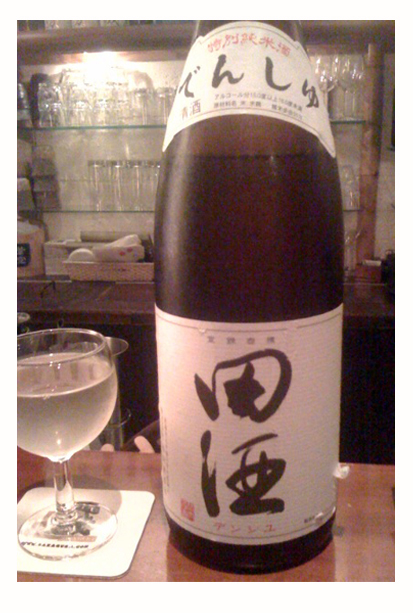 A very clean and well balanced daiginjo, it was soft, rich, and elegant with no aromatics and a quick finish. The second, Hekiju, a Yamahai Junmai Daiginjo also had a soft mouthfeel. Its flavor profile combined notes of creamy vanilla with the classic mushroom yamahai-esque aromatic. 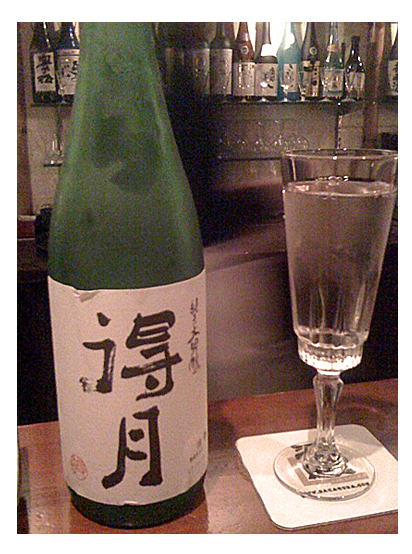 Chizuko-san then introduced us to the Kubota sake that we had not previously tasted, their Tokugetsu Junmai Daiginjo. This was an unusual brew with a seimaibuai (rice milling rate) of 28%. It was soft and gentle texturally but wielded a strong fruit flavor. The last of the Kubota flight that we tasted was Senju Honjozo. It’s calling card was its full body, yet it was also clean and smooth. Next on the elusive sake list to taste was Denshu Tokubestsu Junmai. We found its appeals to be its smooth texture, tight structure combined with an enjoyable toasted rice flavor and dry finish. These are but suggestions as in the end, no two sake are exactly alike and it all boils down to how it appeals to you. But, if you’re seeking an elusive sake, there are always alternatives that are just as enjoyable and new discoveries to be made! You are currently browsing the Sakaya NYC Blog weblog archives for July, 2008.